Good morning everyone! 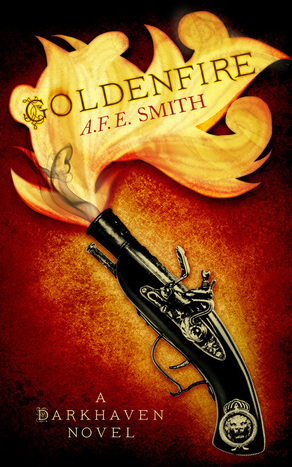 My foiled blog post about Rothfuss’s The Slow Regard of Silent Things will have to wait because today is the official cover reveal for Goldenfire, the second book in the Darkhaven series by my friend AFE Smith. It will be released by Harper Voyager on 14 January, but if you want to read it sooner, you can enter the giveaway below for your chance to win an advance ebook copy!